While the weather gradually cools down and we get more of those delicious blue sky days, Autumn is the ideal time for outdoor activity. 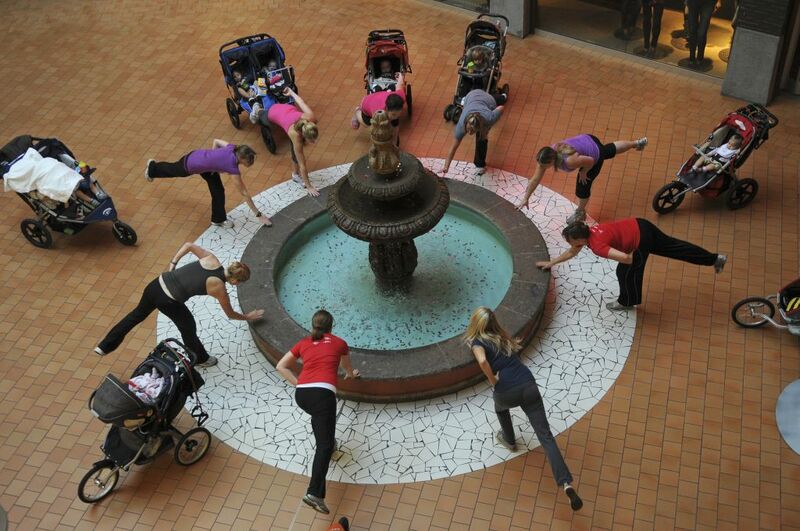 Luckily for new moms, this hot New York exercise program, PROnatal Fitness, is also easy to do in Beijing. PROnatal Fitness is a workout system created by women’s health experts, physical therapists, and fitness pros that focuses on the benefits of exercise both during and after pregnancy. 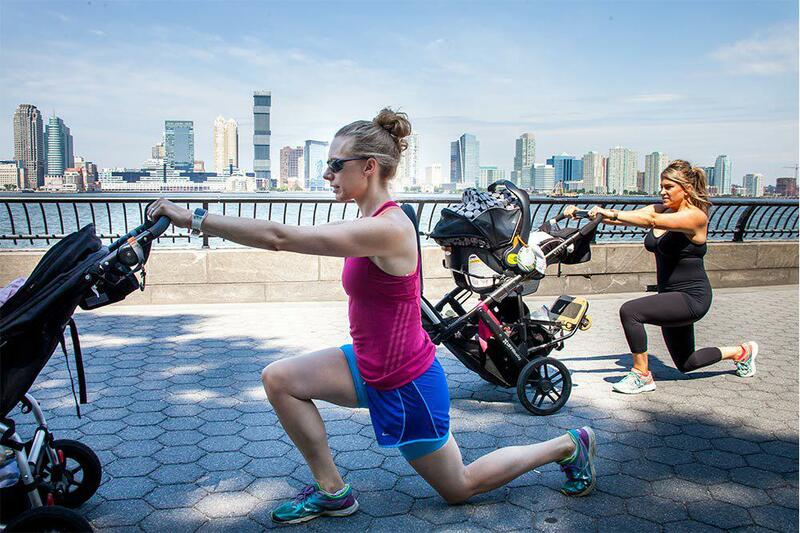 This particular stroller workout guide primarily uses your baby stroller, along with a towel and optional resistance bands. Just head to your favorite park with good footpaths and benches. (Chaoyang park, for example.) You’ll be needing those benches for stability as well, along with your stroller, for parts of the exercise itself. This is basically low impact, full body, mommy parkour. This full body workout covers a brief warm up and stretch with a focus on core engagement, both upper and lower body, aerobic routines, and stretches. A detailed explanation of the entire routine, including links to instructional videos from warm-up to cool down, can be found here. Remember, keeping fit isn’t simply good for our bodies, but also our mental health. According to Reuters, a recent Spanish study stated that exercise can both prevent and minimize the effects of postpartum depression. Similar studies at the University of Minnesota came to similar conclusions. Simply put, moving our bodies is essential for well-being. While there are a number mommy focused fitness classes here in Beijing, there are currently no PROnatal Fitness classes, but they have a wealth of useful and free resources online. The entire routine can be found on a PDF. Just print it, stuff it in your diaper bag, and start doing park bench lunges!